The Entertainment Consumers Association (ECA) is a 501(c)(4) non-profit membership organization established to serve the needs of those who play computer and video games. Formed in 2006, the ECA is an advocacy organization for consumers of interactive entertainment. 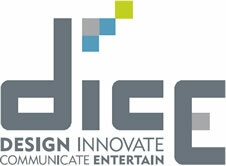 The D.I.C.E Summit is a conference that explores approaches to the creative process and artistic expression as they uniquely apply to the development of Interactive Entertainment. GameRecruiter.com is the leading search firm for the video game industry. We specialize in unique and unadvertised opportunities. For over 18 years, we have earned an international reputation for recruiting the technical, production, and executive staff who build game industry companies and make game industry history. The International Game Developers Association is a non-profit membership organization that advocates globally on issues related to digital game creation. The IGDA's mission is to strengthen the international game development community and effect change to benefit that community. For more information on the IGDA, please visit www.igda.org or e-mail info@igda.org. The Game Initiative is the leading producer of conferences and events for game industry professionals. Now entering its 4th year, the Game Initiative produced 11 game focused conferences and events in 2005, attracting nearly 4,000 game industry professionals from around the world as speakers, attendees, sponsors and exhibitors. Copyright © 2018 ECA. All rights reserved. GameJobs and the GameJobs logo are trademarks of Crest Group, LLC and the ECA.